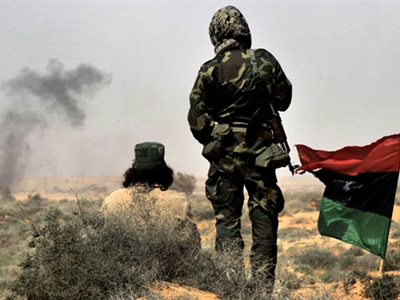 After their lightning advance in recent days, Libyan rebels have had to retreat on Wednesday, being pushed east by troops loyal to Muammar Gaddafi. Pro-Gaddafi forces have been shelling rebels with mortars and Grad rockets, Al Jazeera television reports. Pro-government troops have managed to retake the strategic oil town of Ras Lanuf and also pushed the rebels out of the town of Bin Jawad, according to TV reports. Hundreds of rebel vehicles streamed east through the town of Brega in a state of confusion, escaping Gaddafi’s rocket attacks, Reuters news agency said. 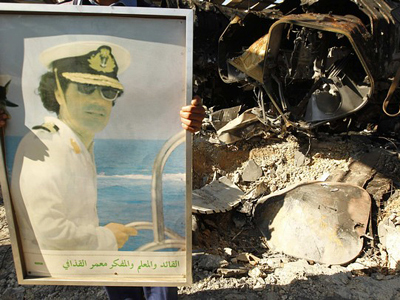 It quoted rebel fighters as saying they were overwhelmed by Gaddafi’s superior firepower and range of weapons. The rebels called for further support from the international coalition to enable them advance to the city of Sirte, which they have been aiming for since Monday. "Where is the French Air Force?” Reuters quoted one of the rebel fighters, Rafa Abbas, as saying. 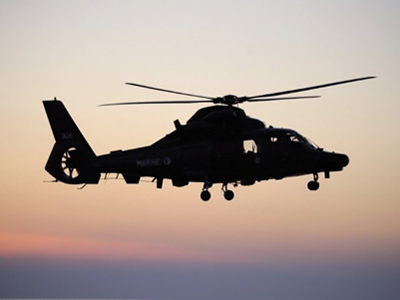 “We will not be able to get to Sirte except with help from the French Air Force." 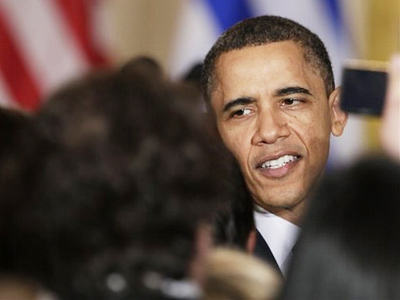 In the meantime US President Barack Obama has reportedly signed secret orders allowing the CIA to carry out covert missions inside Libya. The news has come this mornig that Libya’s foreign minister has arrived in Britain saying he is no longer willing to work under the regime of Colonel Gaddafi. The latest development follows a speedy two-day advance of opposition forces from the city of Ajdabiya, under the protection of international air cover. Reports say they wanted to use Sirte, the hometown of Gaddafi, as a springboard for their march on Tripoli, or possibly bypass Sirte. Three explosions could be heard in Tripoli on Tuesday, RT’s Paula Slier reported from the Libyan capital. 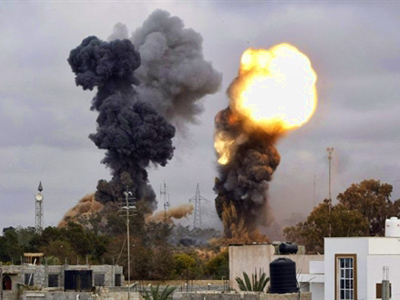 There are reports that the international coalition shelled military and civilian targets in Tripoli, in Misurata and Zaltan to the east of the capital, and in Mizda to the south. The situation in Libya is very fluid and changes every hour, with the front line constantly moving forward and backwards. Apparently, there was a lot of chaos and confusion on the frontline, but what is becoming clearer is that Gaddafi’s tactics seem to have changed. He moved his forces away from the frontline, to allow them to regroup, and sent them back, to face the rebels in small mobile units rather than in long convoys of tanks – potential targets for the coalition forces. Meanwhile, the US deployed propaganda planes over Libya calling on forces loyal to Gaddafi to turn against the Libyan leader. And in Misurata, a humanitarian crisis is taking place. Over 4,000 Egyptians and people from other countries in the region are housed there in tents, with eight of them already confirmed to have died from starvation. There are reports from doctors in Sirte who say they are treating hundreds of patients wounded and crippled by the recent air strikes. They also say it is impossible to determine how many people have been killed, as many have died on the sides of the roads and have been just buried there. There has been another night of air strikes in Libya and a number of military targets have been hit, along with reports that some civilian areas have been struck. As rebels promise to enter Tripoli at some point, local residents feel themselves under threat of siege and there is a growing fear that there could be an impending blood bath in the capital city, reports RT’s Paula Slier from Tripoli. Within two days Tripoli could run out of fuel, and large queues of people are already gathering outside bakeries and other food stores. The defense officials admit that the number of air strikes has increased in recent days and pointed out that, despite all the reconnaissance, more and more of these strikes are happening in urban areas, increasing the number of civilian casualties. On Monday the Pentagon admitted they were using AC-130 and AC-10, which can hardly be called high-accuracy planes for hitting military targets, Lieutenant General Leonid Sazhin told Itar-Tass news agency. ­And political observer Christoph Hoerstel says NATO is using depleted uranium ammunition in bombs and missiles for its attacks on Libya. ­And Stephen Lendman, who has written extensively on war issues and American imperialism, believes that the US has no allies nor partners, but only interests, and is pulling the strings for its own benefit. ­Rebels have no confusion with specifying their ultimate goal, which is to get rid of Gaddafi’s regime and to establish a new order in the country. They are ready to do whatever it takes to achieve it. Some NATO countries, including the US and France, have suggested they could be open to arming the rebels. Moscow condemns those intentions, saying the UN no-fly resolution is about protecting civilians, not supplying rebels with arms and ammunition. “We all heard the statements that the only goal of the operation is to protect civilians, as according to the UN resolution. We also heard the coalition wouldn't side with anyone in the conflict. 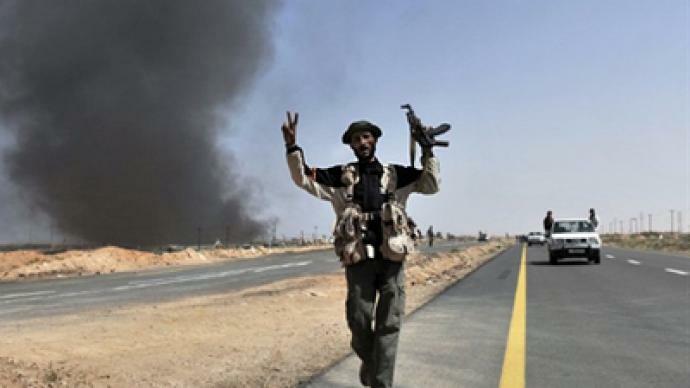 At the same time, France has recently stated it’s ready to supply Libyan rebels with weapons. The NATO Secretary General has immediately objected, saying the operation aims to protect the population, not arm it, and we fully agree with his position,” Lavrov stated. The opposition says that Libya is going to be a democratic country. They are stressing that they do not want any third side to tell them what sort of system to build, as it is up to the Libyan people to decide what kind of regime they need in their country and what to do with Gaddafi and his family, reports RT correspondent Egor Piskunov from the rebel stronghold Benghazi. However they are ready to listen to some advice coming from the West, particularly from Germany, France, and the UK. In the east of the country the opposition seems to be in full control. The rebels have organized an authority body, the Transitional Council, and are now dividing responsibilities in different areas of life, such as economy, industry, law and order. 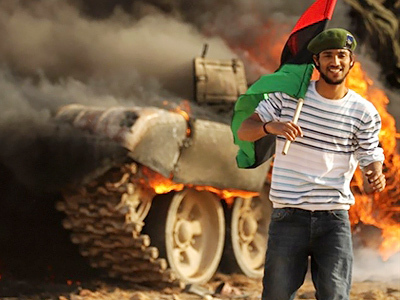 The rebels believe in revolution and keep their spirits high as there are some successful results, despite their failure to capture the city of Sirt, which holds a special symbolic value as Gaddafi’s hometown. They were able to retake control of most of the towns they lost to Gaddafi a week ago. Watch RT's Egor Piskunov's report from Bengazi. ­According to Nicholas Grief, director of legal studies at the University of Kent, the idea of supplying Libyan rebels with arms contradicts the goals of UN Security Council Resolution 1973, which was aimed at introducing a no-fly zone over the country. ­Arming Libyan civilians might be a precursor for ground operations by the international forces in Libya, believes Tim Black, a senior writer for the online political journal Spiked. ­Analyst, journalist and author Jeffrey Blankfort, who has closely followed the Arab world for decades, believes the coalition’s advance in Libya has made the situation utterly complicated, especially taking into account that it was the US who rescued Gaddafi from a coup that was launched against the colonel back in late 1960s. Now the intervention pushed by Washington, London and Paris has eliminated any possibility for negotiations with the Libyan regime, and at this moment the possibility to resolve the conflict without further bloodshed is minute. Blankfort noted that previous humanitarian missions by the US, UK and France have always been conducted in defense of their own interests. And if they now choose to stay in the country under the pretext of Al Qaeda turning Libya into a safe haven, it will result in an endless and bloody war. In the Libyan city of Darna, he claimed, there is one terrorist fighter for every 1,000-1,500 residents, and the city itself is governed by a former Al Qaeda fighter. If the rebels prevail in Libya, it will end in massacre and genocide, Tarpley believes.